Swing traders have over 1 liter of Red Bull on ice for today as the opening bell spells massive trading action on Zynga Inc. (Nasdaq: ZNGA) today. ZNGA stock price closed at 5.08 yesterday with 49,790,235 shares traded between 4.88 and 5.19. Pre-Market as of 8:53am, the Farmville, Cityville, and, for investors, Lossville, is down -$2.05, -40.33%, at $3.03. After reporting EPS of a penny when analysts were looking for a nickel more, today’s expected #2Flusher earnings report from Facebook Inc. (Nasdaq: FB) will only help swing trade set ups for all those who are trying to average down on ZNGA stock. 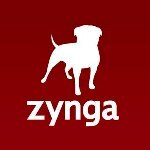 Bottom Line: Zynga Inc.’s ZNGA is, for all intents and purposes, the best penny stock to swing trade, flip and scalp today before even worse news comes from Facebook. We are calling for FB stock to hit $22 something at some point before the end of this trading week which could mean ZNGA stock price touches $2.50 or less before Friday’s closing bell. Last updated by Timothy Richards at July 26, 2012 .